The 12-step program is an invaluable resource to help begin the healing process, but it’s not enough as it largely addresses the addiction from the outside. 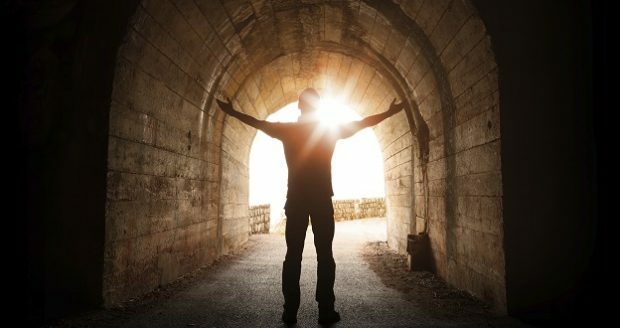 To truly overcome and heal from an addiction, the inside needs far more attention as it is a lack of something on the inside that is the starting point for all addictions. The Orthodox approach focuses on the removal of character defects which hinder our relationship with God and others; the emphasis is on replacing these defects with virtues. Thus, we remove the void, the emptiness that is not being filled, which has a burdensome impact upon the human soul. We do not become sober by relying on our own thinking process. To achieve and maintain sobriety, we must engage in sober actions such as attending the meetings, working in partnership with our sponsor, share our stories with others by way of fellowship and most of all, by accessing the fullness of the methods of treatment offered by the Orthodox Church. Come to terms with our spiritual hunger and thirst by becoming aware of our sins. Many individuals are in a state of denial about their personal sins and only a crisis brings about getting their attention. Much of our pain and sorrow is self-inflicted. Admit that our own self-will and self-sufficiency fuel our common enemy, which is pride and arrogance. We must acknowledge that by removing our sins and acquiring purity of the heart, we will receive from the Lord that which we lack and cannot acquire on our own. Take practical actions to be more humble and child-like, seek or renew the guidance of a spiritual father or priest and be willing to begin a daily rule of prayer at home. Set aside 30 minutes each day for prayer, with a focus on the Jesus prayer and praying for others. There are some major core issues which all recovering addicts have in common, namely: overcoming selfishness/self-centeredness, resentments and fear. There is no greater method of treatment available to us in the overcoming of both selfishness and resentment than the practice of praying for others. The grace of Our Lord Jesus Christ is greatly showered upon them that are willing to walk humbly and obediently in their imitation of Him, as well as following the example of Our Lady, who prays continuously for people in need. If you are suffering from any form of addiction, please consider joining the ministry of the Inexhaustible Cup. One can participate in the Fellowship by devoting 5-6 minutes a day to Akathist prayers, including reading names from a prayer list, and joining the Mother of God in prayer, who herself is the queen of intercession. More information regarding this ministry and its outreach pastoral counseling services provided as part of this nonprofit work can be found at the website of www.inexhaustiblecup.org.